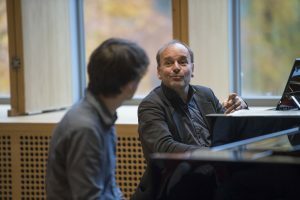 The aim of the project is to create opportunities for young musicians and masters to cross the Atlantic both sides for mastering and performing opportunities. 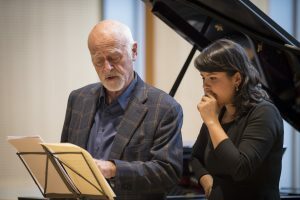 To give the opportunity to Young Canadian talents to be accepted in the Queen Elisabeth Music Chapel in Belgium for a period of residence and get scholarship for the annual fee. 23 .000 dollars per student for one year of residence in the Music Chapel. 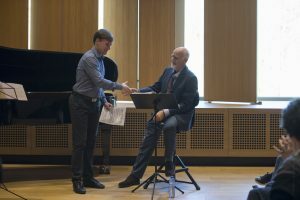 To give the opportunity to the best Musicians in residence in the Queen Elisabeth Music Chapel to come to Canada to follow masterclasses and participate to performances. To make possible that masters teaching at the Chapel could come to Canada to inspire the new generation of Canadian artists, on stage and through mastering. The KBF CANADA Foundation works with The Queen Elisabeth Music Chapel in order to achieve these goals. Have a look at our Brochure . The Queen Elisabeth Music Chapel, inspired by the famous Belgian violinist Eugène Ysaÿe was founded in 1939. The Music Chapel is a Music training center based in Waterloo in Belgium where young artists in residence, selected from around the world, are in contact with and benefit from the advice of leading artists, musical masters, not only through masterclasses, but also by sharing the stage together, something which is much sought after by young musicians. 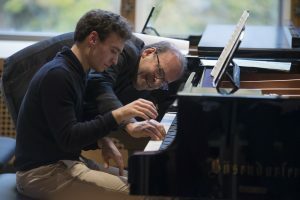 The Queen Elisabeth Music Chapel is one of the leading Music Training Center around the world and has the experience (80 years) and leadership in Europe to develop such exchange project with the Canadian Music institutions.The Queen Elisabeth Music Chapel is also developing projects with the Domaine Forget (Quebec) and The Salle Bourgie in Montreal. How to support this project? By credit card: At the top right of this page, indicate the amount you wish to donate, and make the donation online by credit card. Simple and fast! By check: Mail the check to the KBF CANADA Foundation, mention ‘Project E205– Canadian Friends Queen Elisabeth Music Chapel’ in the ‘For’ section and send it to: KBF Foundation CANADA, 1 Place Ville Marie, Suite 1670, MONTREAL, QC, H3B 2B6 – CANADA. By Direct Deposit: Send an email to the KBF CANADA Foundation info@kbfcanada.ca or call +1 514.481.2000. All donations are eligible for a tax receipt in Canada. The projects are managed with the greatest care and professionalism.